The wee frog, bear and bunny are all members of my latest series called the Wee bits. 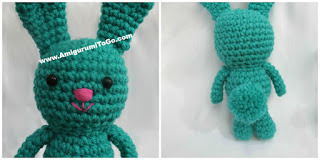 You can pick up the other animal pattern links in one post here, they all have video tutorials and you can scroll down this page for the Bear, Frog and Bunny pattern. 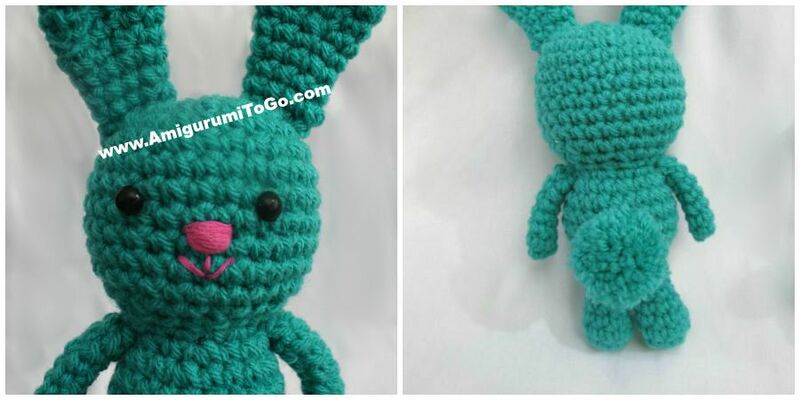 you can use felt, buttons, yarn or paint eyes on. I used 7.5mm safety eyes for the bunny, yarn for the bear and 15mm solid buttons that I painted for the frog. sl st next st and f/o. Whip stitch a nose before sewing muzzle to the head. I hot glued the muzzle onto the face which works great for me. If you choose to do the same, make sure to not add so much glue that it oozes out onto the face because you won't be able to get the glue off. The yarn eyes are wrapped around the 7th row with 5 visible stitch holes between them. I then dabbed white paint on them to give the eyes a bit of life. works great! 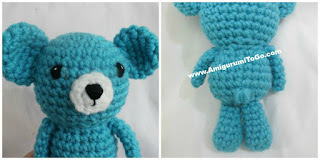 Bear Tail: just add in whip stitches in the back where you think a tail should go. Make the tail as big or as little as you want. I wrapped from side to side first then finished off the tail by wrapping over that bundle of wrappings up and down. Knot off when done and hide yarn tails inside the body. sl st next st and f/o. Do not stuff. make a small pom pom using yarn and your 2 fingers. If you don't know how to make a pom pom please view the video. If you choose safety eyes, those are in between the 7th and 8th row. Again, you can use yarn, buttons, felt or paint. Choose what you want for the eyes. I chose solid and slightly rounded buttons. I went over the surface of the buttons with an emery board so paint would stick better then painted them white and dabbed in a bit of black. Covered that with a clear coat of nail polish. You can sew the button to the eye part before you sew the eye part to the head. OR hot glue it in place but don't glue it in until you've sewn the eye part in place first. The mouth is a strand of red yarn with the corners in between the 7th and 8th row with 2 visible stitch holes between them and the smile was tacked down between the 8th and 9th row. 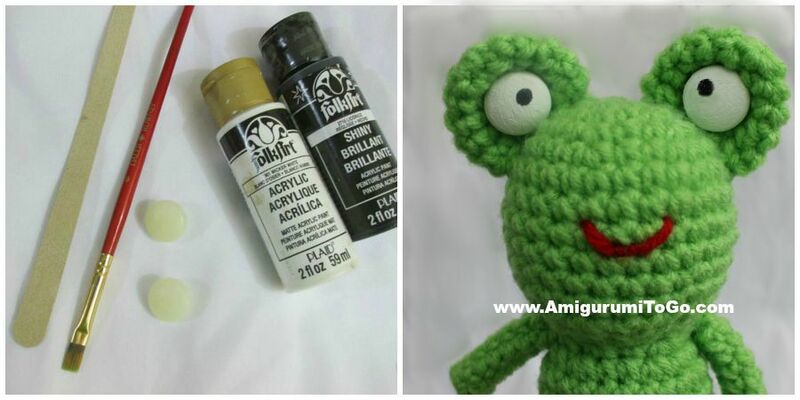 Remember to post pictures of your finished wee animal or frog on my facebook page, Amigurumi Freely, I'd love to see! These are wonderful. I cant wait to make them! I love your little bits patterns. I've saved them to my computer until I have time to make them. Like you, I think I like the new elephant the best. Thanks so much for these. You're a very talented crocheter. Your so good at what you do.